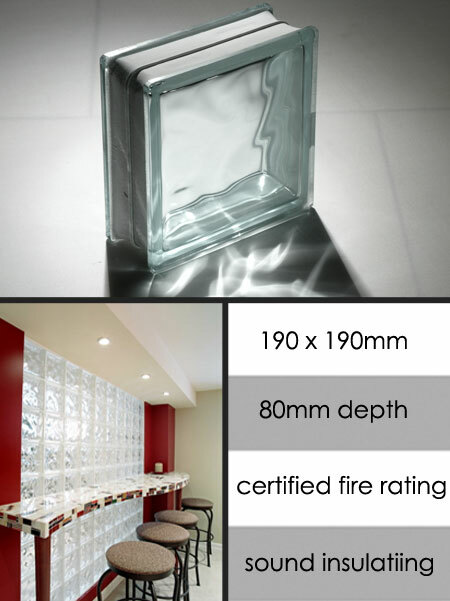 Top quality European clear glass blocks manufactured in thick 8mm glass. Each glass brick is 190mm x 190mm x 80mm thick. All the fitting materials and accessories are available and are quoted on application. Priced per glass block. * Clear thick 8mm glass. * Fire, accoustic and thermal rated.